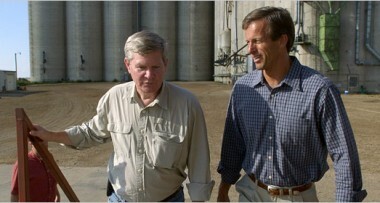 Bill Janklow, my former Governor, passed away today. He was 73. It is impossible to express how large (and generally benevolent) a presense he was in South Dakota politics. Under his leadership, South Dakota was the first state in the union to wire ever school to the internet. Many of the return addresses for credit card bills and mailings you receive probably have a return address of “Sioux Falls, SD” — that is also because of him. Everyone has their own Bill Janklow stories. He has screamed (in person to one, over the phone to another) at least two members of my close family. A waitress friend of ours, who works at a small town steakhouse, would complain about his latest antics there. Bill felt nowhere more comfortable than in a small town steakhouse. Though I doubt the Hy-Vee Cafteria could have been far behind. Update: The Argus Leader captures the mood perfectly: The lion is dead. “There was already a crew of neighbors. One of the nice things about small communities is that everybody waded in and tried to fix stuff already. So there was a bunch of guys boarding up the windows and patching up the roof and what have you,” Jones said. In fact, there were so many people in town helping out that Jones isn’t sure where the wood that’s covering his busted windows came from. But that’s why he’s chosen to live where he does. And this storm won’t be enough to chase this family originally from England away from the northern plains. “We just enjoy the nice community and being in a remote community. Itâ€™s got some down sides, but we really do prefer it. But a snow storm sure does sound good about now,” Jones said. Harriman, P. (April 13, 2008). Dangerous close to having no law. Argus Leader. Available online: http://argusleader.com/apps/pbcs.dll/article?AID=/20080413/NEWS/804130327&referrer=FRONTPAGECAROUSEL. And yet, the Counter-Insurgency (COIN) success of the US government is complete, in spite of minimal security and few jobs. How? Family liberation, the destruction of the social and cultural infrastructure of a people. Family liberation has been successfully applied against the Lakota Sioux, though obviously would not be appropriate everywhere: the destroyed culture better now be the local majority over a large area! Still, not all COIN is touchy-feely jobs-based nation building. That’s something to keep in mind. South Dakota bloggers, both Republicans and Democrats, are slamming the Argus Leader‘s hypocritical and sanctimonious non-coverage of the Clean Cut Kid imbroglio. Like almost everyone else, the behavior of the mainstream media can be predicted this prediction: They love themselves, their friends, and their families more than they love you. The Argus Leader‘s combination of political and personal bias is sickening. The Sioux Falls paper is not reporitng on political news happening down the block, though both regional (Yankton, Rapid City) and national (The Hill, Associated Press) sourcs are. Fortunately the Mount Rushmore State has a blogosphere capable and responsible enough to criticize the Argus Leader when it’s wrong. And this is one of those times. Clean Cut Kid was one of the first blogs I read. For the first few months of tdaxp‘s existence, CCK himself, Chad Schuldt, was kind enough to comment here on several occasions. As recently as April he linked to my analysis of Congress’s low approval ratings. Not every blogger was so well treated. CCK tried to get Sibby, a local paleocon blogger, fired from his job as Toshiba. Chad has now been fired for embezzling a hundred thousand dollars from Hildebrand Tewes, a consultancy that has worked for Senator Tom Daschle and Senator Barack Obama. Dakota War College is right to say this is a sad day for all concerned. Both the left-leaning S.D. Watch and the right-leaning South Dakota Politics share their thoughts. Final vote results for roll call 298, from South Dakota Politics and South Dakota War College. The best argument in favor of Hate Crimes legislations is that Hate Crimes Laws are actually Anti-Terrorist Laws. Terrorists, such as today’s al Qaeda and yesterday’s Ku Klux Klan kill people for the same reason that politicans pass laws: to get things done. al Qaeda wants America out of the mid-east, just as the Klan wanted America out of the south-east. This subverts the political process. Hate violence is political violence. When a black or homosexual is murdered for being in the wrong neighborhood, this killing is done by those who wish to answer the political question, “who should live in our neighborhood?“, through violence. However, if that same person was killed by his boyfriend in a quarrel, such would be a murder among murders. In the same way, if a PLO suicide bomber kills an Israeli, the world properly calls it terror and vows to pursue the terrorist to the ends of the earth. But, if that same Israeli was killed by her boyfriend, the world calls it “crime” and expects the police to handle it in the normal procedure. For that matter, the hateful political violence of 9/11, which killed almost three-thousand Americans, is considered much more serious than vitamin deficiency, which may easily top that number. Hate crimes are attempts to subvert the political system, while regular crimes are attempt to subvert the justice system. When a man kills a friend, he attempts to go around the law-courts in a “he done me wrong” manner. He has no larger goals, and is thus merely a law-and-order threat for the country. However, when a man killers another out of hate, he attempts to go around the Congress and legislature. He is killing for a reason. Thus, my Representative’s (Stephanie Herseth Sandlin, D-SD) vote against hate crimes protections for veterans and soldiers is sickening. If I gave her and Nancy Pelosi intellectual credit, I would say that are more interested in protecting their supporters from terrorist violence than they are in reducing terrorism. However, I don’t give them credit. The Democratic-Party Congress has been a disaster. Vote Republican. T. Denny Sanford is a South Dakotan who has done well. He built First Premier Bank and Premeir Bankcard. When he decided to give his fortune away, he attempted to give millions of dollars to the University of Minnesota. However, the Minnesotans rejected his gift. Bad for them, good for us. Mr. Sanford repurposed most of the money that would have gone to the U of M to the University of South Dakota, helping to expand the medical school at my alma matter. Then just this month, Denny Sanford made news around the world. He gave four hundred million dollars to Sioux Valley Hospital, (one of the two hub hospitals in Sioux Falls, along with Avera McKennan). The great news hit the New York Times, hit the blogsv, and even hit the Chinese press. 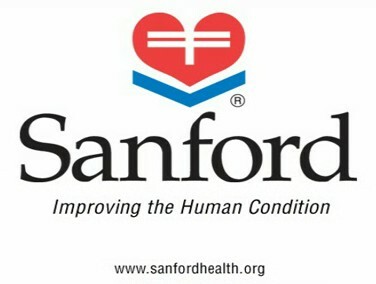 Now, T. Denny Sanford, a low-key billionaire who made his home and fortune here, will help sustain the stateâ€™s economic boom with a $400 million gift to the Sioux Valley Hospitals and Health System, the stateâ€™s largest employer. 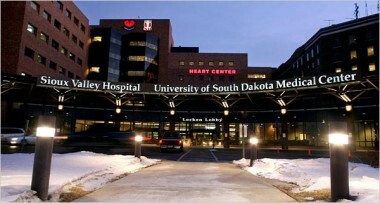 Hospital officials hope the gift â€” the largest ever to a hospital, according to the Center for Philanthropy at Indiana University â€” will help transform Sioux Valley Hospitals, which will change its name to Sanford Health, into a national institution that will eclipse Johns Hopkins and the Mayo Clinic. â€œHe told me he doesnâ€™t want this to be just another Mayo,â€ said Kelby K. Krabbenhoft, Sioux Valleyâ€™s chief executive. Mr. Sanfordâ€™s gift is greater than the total assets of $256 million held by South Dakotaâ€™s 126 foundations in 2004, according to data compiled by the National Center for Charitable Statistics.